LOW HOURS - CLOSED COOLING! 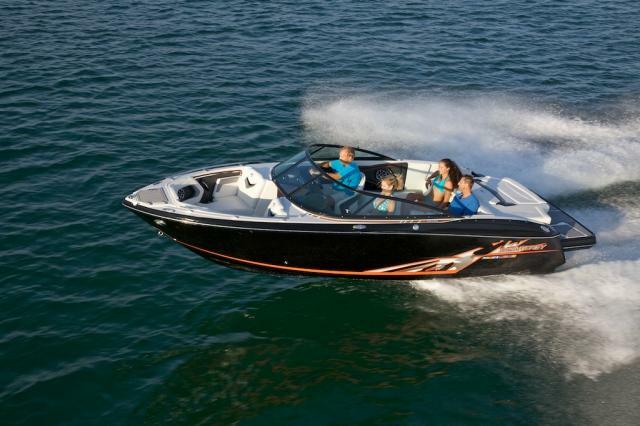 The 350 Sport Yacht combines bold styling and aggressive performance in a luxurious package. 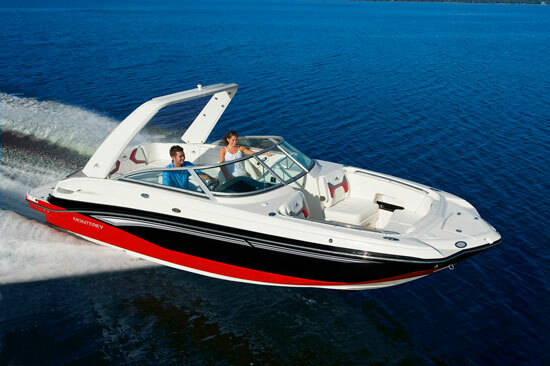 Stepping aboard you will notice the striking Eurostyle helm with its Faria Gauges. A U-Shaped lounge in the aft cockpit offers seating for six with a removable table, and converts to a sun pad with the insertion of a filler. There is additional lounge seating forward to port. The wet bar features a prep-area with ice-maker & storage below. Engine access is through an electric hatch in the cockpit sole. Belowdecks, the layout offers something few other cruisers in her class in that her midcabin is a true stateroom with standing headroom and a solid cherrywood door rather than just a privacy curtain. The salon area is carpeted except for the area in front of the galley, which is finished with cherry-and-holly flooring. 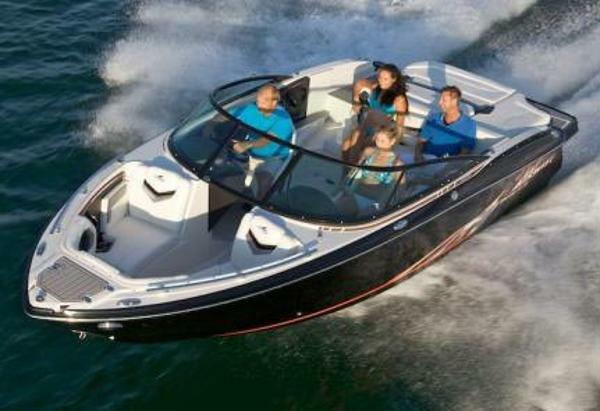 The 350 Sport Yacht is a seamless blend of performance, comfort, style and sophistication. The starboard refreshment center comes complete with full length stainless steel grab rail and convenient 120 volt outlet. The wetbar includes drink holders, sink with faucet, 48 quart cooler, ample storage and room for an optional refrigerator! The impressive above deck layout only hints at the sumptuous accomodations waiting below. 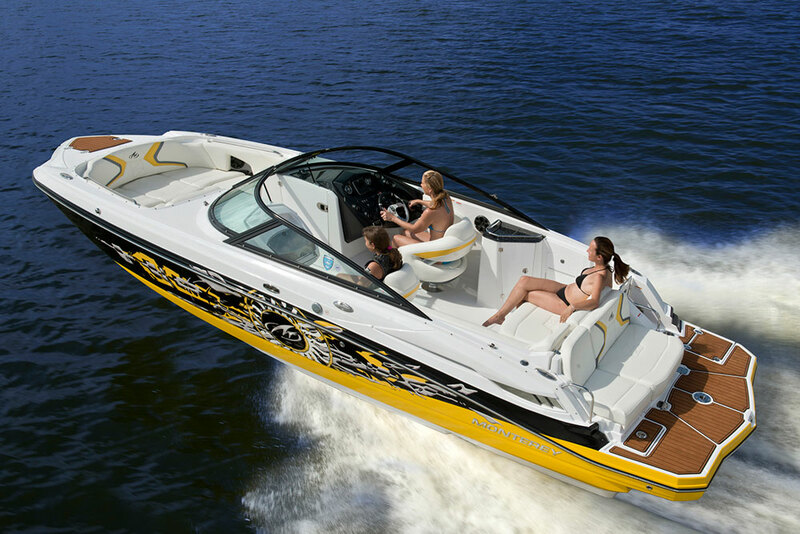 A roomy salon welcomes you and the spacious galley is fully equipped. An exceptionally large head compartment with mirrored vanity, vacuflush toilet and a full stand up shower make you feel at home. Mid Cabin: Perfect for guests, the midships twin berth converts quickly to a queen bed. Color-coordinated, quilted mattress covers provide stylish comfort and the swivel/extension mount permits TV viewing from entire suite. Mid Cabin Lounge: The mid-cabin has a contoured sofa/chaise lounge, hanging locker and built in storage for electronics. Aft Seating: The lower cockpit U-shaped lounge seating lends itself to total passenger comfort. A cockpit table installs easily to turn the aft seats into an al fresco dining area! The Salon: A curved sofa/dinette is just the place to relax or dine indoors. For overnite guests, the sofa converts into comfortable sleeping accomodations for two. The salon has a flat panel, color TV/DVD combo with remote and is mounted in the adjacent galley.